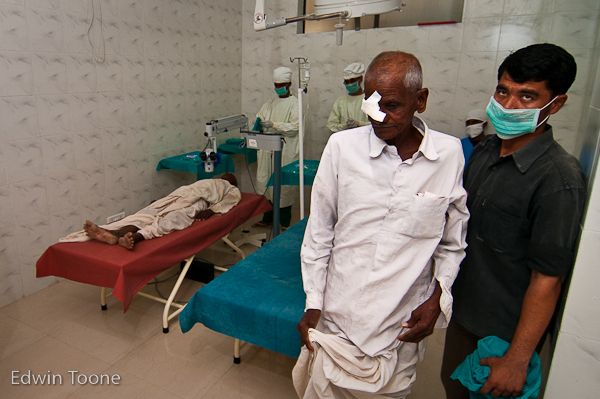 Cataracts are large problem for the elderly in India because they often go untreated and lead to blindness. 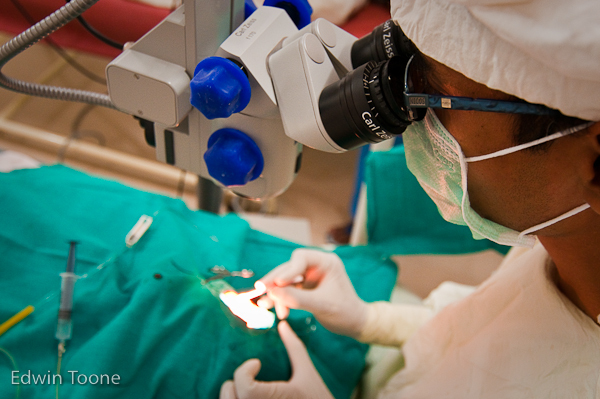 One of the great programs at CRHP is free or sliding scale cataract surgery. 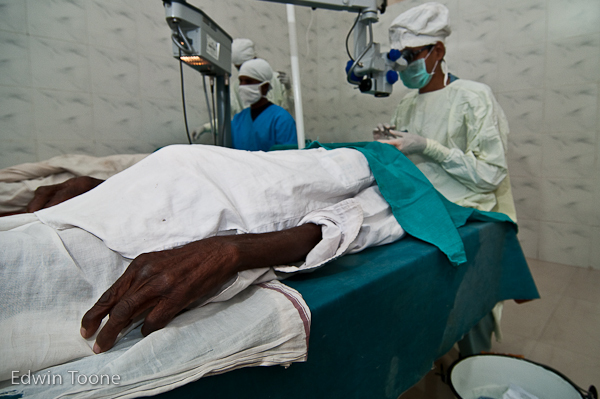 It all starts with a village health worker who is trained by CRHP to notice the signs of cataracts and refer the patients to the hospital when it is time. 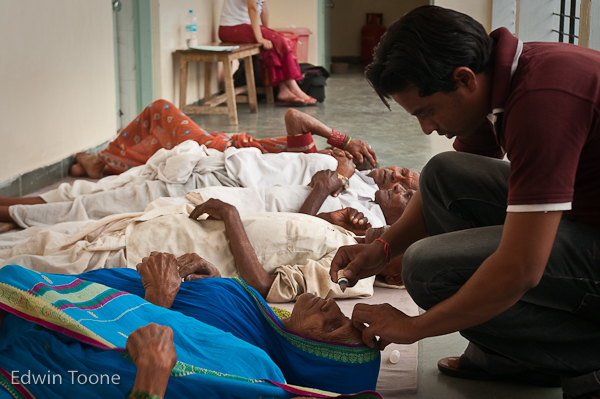 When a patient comes for surgery they line up on a blanket on the floor where they are given eye drops to prepare them. Then they are helped into the operating room. The surgeon works on one patient while another one is being prepped. The operation only takes about 20 minutes and the surgeon can do up to 30 a day. To cut cost and include the family in the long term care of the patient the hospital allow/encourages family members to come to the hospital and take care of the patient for the 1 or 2 nights they stay.